A highland meadow, filled with smiling yellow flowers of spring, The sun emits pointy silver rays. I sit amongst the smileys and blow a soft dandelion in the air, a cherubic little girl not more than two, runs towards me now falling, now up again she beats all odds and gives me an all encompassing hug and a sloppy wet kiss. My soul is the happiest it has ever been. The skies are overcast, its deep deep grey, the heavens may open any minute now, that familiar cool breeze is back again, only this time its chilly. I pull my sleeves snugly towards me. The baby is fast asleep, he couldn't resist the lure of this pleasant weather. I peek outside my window its lush green and fresh all over. Its there now that tell tale smell, the earth once parched now has all her prayers answered as the first batch of white sheets of rain lash against its flora. I shut my eyes and try to stop time, I try to absorb it all. My soul is the happiest its ever been. Its a cool Saturday in July, schools out for the weekend, the boys both short and tall are lazing at home. Its the perfect time, the ingredients are easily found at home and the time required is less. 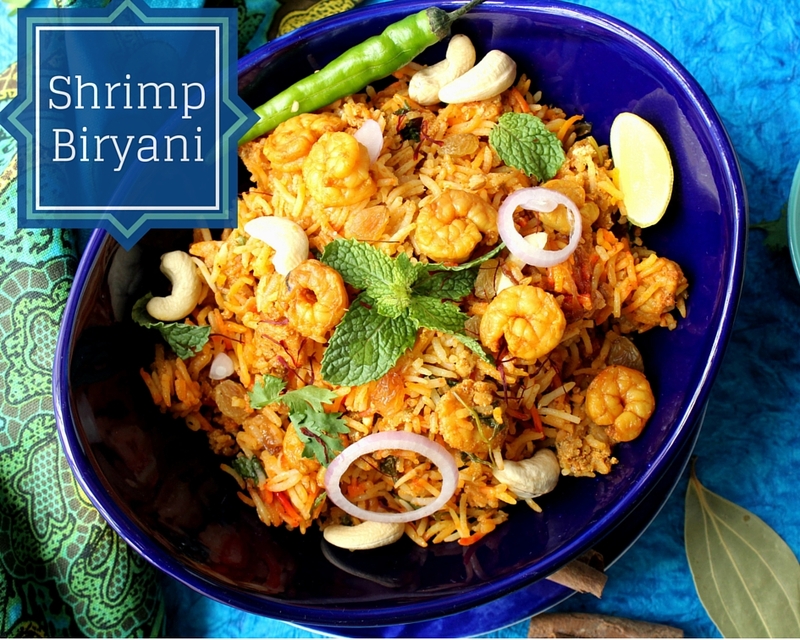 I head over to the kitchen and stir up some Prawn Biryani. My soul is the happiest it has ever been. Start by soaking the rice for 30 mins. 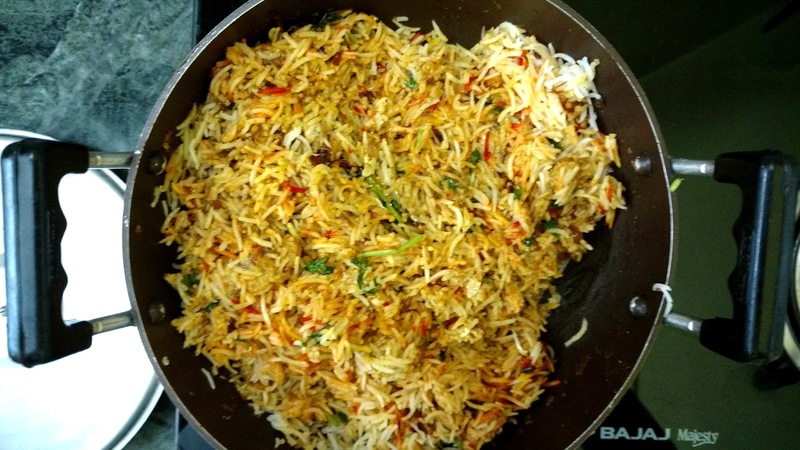 In a heavy bottomed wok/ kadhai heat some oil and fry thinly sliced onions until crispy and golden brown in colour. Remove onto a paper towel and keep aside. 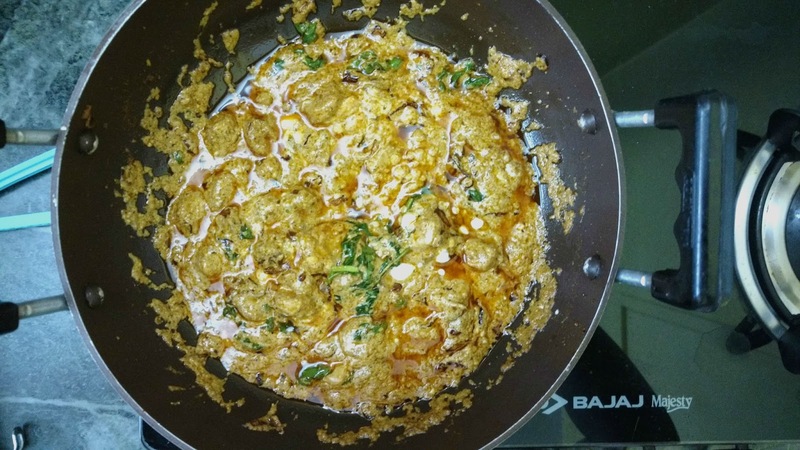 Clean, de-vein the prawns and marinate in a mix of 2 tsps lemon juice, 1/4 tsp red chili powder, 1/4 tsp termeric powder, 1/4 tsp cumin powder, 1/4 tsp coriander seed powder and 1 tsp ginger garlic paste. Allow to stand for 30 mins. 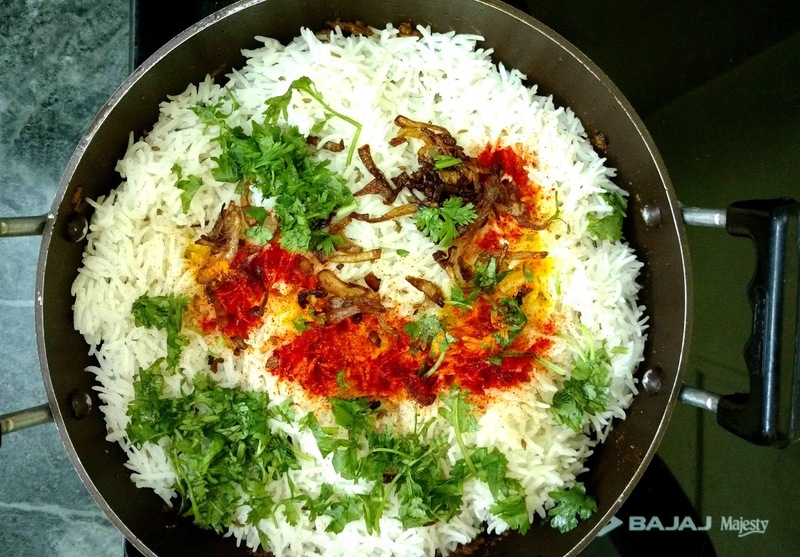 Now cook the rice in a lot of water along with cumin seeds and salt. Drain off the rice in a colander once 90% done. This means the rice is almost cooked, but still has a little raw bite to it. Keep aside. Next in the same oil that you fried the onions, fry the marinated prawns for 3 to 4 mins, remove with a slotted spoon and keep aside. 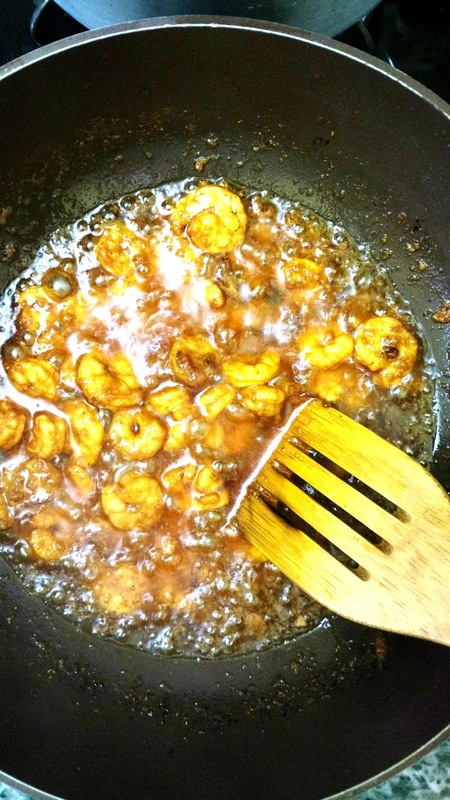 Now remove the excess oil from your pan making sure that you don't remove the spices that the prawns left back. In the prawn spices now add in all the whole spices, saute for a minute and then add in the biryani masala along with half of the fried onions the mint leaves, split green chilies, semi cooked prawns, curd and half of the coriander leaves, that have been roughly chopped. Cover with a lid and allow to cook for 5 - 8 mins until the rice is full cooked. To serve simply toss both the gravy and rice layers with a light hand, remove onto a serving dish, garnish with some mint leaves, cashwes and raisins. Looking for more weekend recipes? then how about trying this delicious Parsi Dhansak, Marghi na Ras Chawal, Sali Boti this weekend or Parsi Fish Curry perhaps? Wah wah !! Kya baat , kya baat , kya baat !! Drooling over the opening para :) . Will check the Biryani when I get over the sheer poetry of it . Its lip smaking and make me feel to gulp the whole plate. Hahaha, thank you Vemula Sridevi. Im glad you liked it.